Back in February of 2009 we released an article called FaceBook from the hackers perspective. As far as we know, we were the first to publish a detailed article about using Social Networking Websites to deliver surgical Social Engineering attacks. Since that time, we noticed a significant increase in marketing hype around Social Engineering from various other security companies. The problem is that they’re not telling you the whole truth. The whole truth is that Social Engineering is a necessary but potentially dangerous service. Social Engineering at its roots is the act of exploiting the human vulnerability and as such is an offensive and politically incorrect service. If a customerâ€™s business has any pre-existing social or political issues then Social Engineering can be like putting a match to a powder keg. In some cases the damages can be serious and can result in legal action between employee and employer, or visa versa. Itâ€™s for this reason that businesses need to make sure that their environments are conducive to receiving social attacks, and that they are prepared to deal with the emotional consequences that might follow. If employees are trained properly and if security policies are enforced that cover the social vector, then things â€œshouldâ€ be ok. If those policies donâ€™t exist and if thereâ€™s any internal turmoil, high-risk employees, or potentially delicate political situations, then Social Engineering is probably not such a great idea as it will likely identify and exploit one of those pre-existing issues. For example, we recently delivered services to a customer that had pre-existing issues but assumed that their environment was safe for testing with Social Engineering. In this particular case the customer had an employee that weâ€™ll call Jane Doe who was running her own business on the side. Jane Doe was advertising her real employers name on her business website making it appear as if there was a relationship between her employer and her business. She was also advertising her business address as her employers address on her FaceBook fan page. From our perspective, Jane Doe was a perfect Social Engineering target. With this social risk identified, we decided that weâ€™d impersonate Jane Doe and hijack the existing relationships that she had with our customer (her employer). We accomplished this with a specially crafted phishing attack. Once we had the content for the phishing email set up we used an IDN homograph attack to register a new domain that appeared to be identical to our customers domain. For example, if our customer was SNOsoft and their real domain was snosoft.com, the fake domain looked just like â€œsnosoft.comâ€. We embedded a link into the phishing email using the fake domain to give it a legitimate look and feel. The link was advertised as the place to click to get information about specially discounted offerings that were specific to our customerâ€™s employees. Of course, the link really pointed to our web server where we were hosting a browser based exploit. Then we collected email addresses using an enumerator and loaded those into a distribution list. We sent a test email to ourselves first to make sure that everything would render ok. Once our testing was complete, we clicked send and the phish was on its way. Within 15 minutes of delivering the attack our customer called us and requested that all testing be stopped. But by that time, 38 people had already clicked on our embedded URL, and more clicks were on their way. As it turns out, our customer wasnâ€™t prepared to receive Social Engineering tests despite the fact that they requested them. At first they accused us of being unprofessional because we used Jane Doeâ€™s picture in the phishing email, which was apparently embarrassing to Jane Doe. 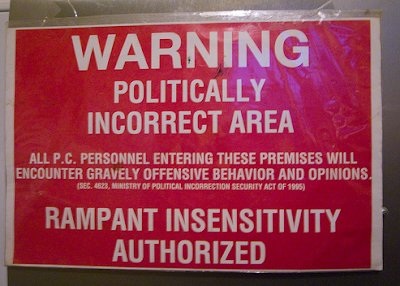 Then they accused us of being politically incorrect for the same reason. So we asked our customer, â€œDo you think that a black-hat would refrain from doing this because itâ€™s politically incorrect?â€ Then we said, â€œImagine if a black-hat launched this attack, and received 38 clicks (and counting).â€ (Each click representing a potential compromise). While we canâ€™t go into much more detail for reasons of confidentiality, the phishing attack uncovered other more serious internal and political issues. Because of those issues, we had to discontinue testing and move to report delivery. There was no fault or error on our part as everything was requested and authorized by the customer, but this was certainly a case of the match and the powder keg. l process for the customer, weâ€™re happy that we were able to deliver the services as we did because they enabled our customer to reduce their overall risk and exposure profile. The moral of the story is that businesses should take care and caution when requesting Social Engineering services. They should be prepared for uncomfortable situations and discoveries, and if possible they should train and prepare their employees in advance. In the end it boils down to one of two things. Is it more important for a company to understand their risks or is it more important to avoid embarrassing or offending an employee. Netragard, LLC. — The Specialist in Anti Hacking.